Who or what is an Elephant’s Gerald?!? Find Out! 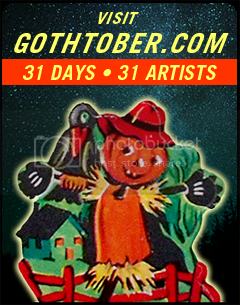 Visit DAY 5 on the Gothtober Countdown Calendar! Coming to you from the heart of Brooklyn, NY are The Pop Ups and Friends! 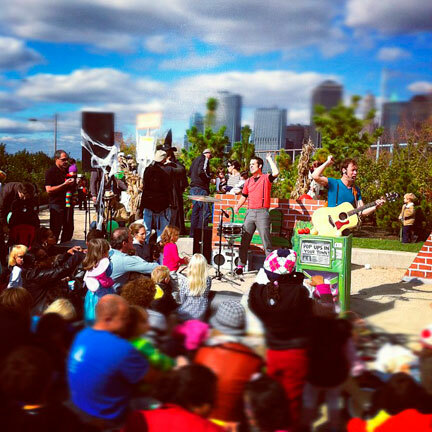 Click on Pumpkin #5 on the Gothtober Countdown Calendar to experience a catchy trick-or-treat tune! We’re sure you might pick up on this phonetic tribute to The First Lady of Song, but there are also some other jazztastic tributes that don’t mention whats-her-name directly but um… instead through the medium of song, puppets, babies, graveyards, cardboard saxophones and yep… elephants. These tunes will make ANY road trip become instantly fun, it’ll make you want to bounce and sway and sing along, I can’t recommend it enough to kids, families or anyone who wants to have a seriously good time. Find out all about The Pop Ups from upcoming shows and albums to full biographies, photos and more here at their site: The Pop Ups. The excellent spooky tone of this Fall Pop Ups piece comes not just from wondering just what this “Elephant’s Gerald” might be all about (no spoilers here, not a one) but take a good look at the scenery of this little music video. It was shot on location right outside of National History Landmark: Green-Wood Cemetery!!! Leonard Bernstein was buried at Green-Wood, as well as Jean-Michel Basquiat, William S. Hart and Alice Roosevelt. 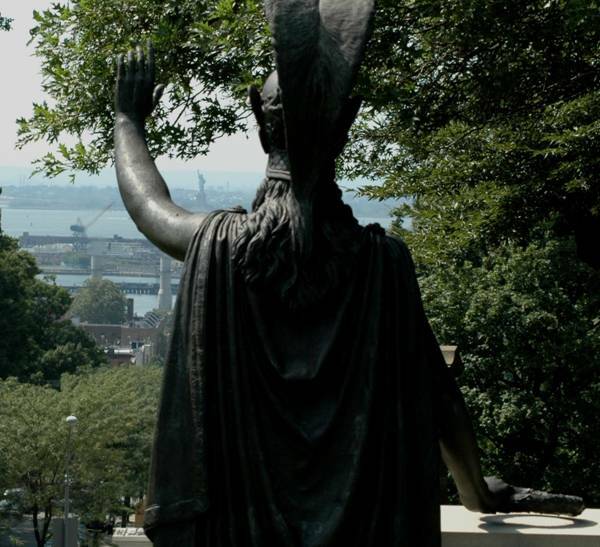 The highest point in Brooklyn, which is 200 feet above sea level, is on cemetery grounds, it’s called “Battle Hill” and right at that spot is a statue of Minerva. It was commissioned by Irish immigrant Charles M. Higgins and sculpted by Frederick Ruckstull and unveiled in August of 1920. Minerva, as you know, sprung from the head of Zeus and was the goddess of poetry, medicine, wisdom, commerce, weaving, crafts, and magic. She is considered the guardian of civilization. The building was going to be called “The Minerva” and if that’s not ironic, I don’t know what is! This warrior goddess statue’s official title is “Alter to Liberty: Minerva” and may Minerva never be out of a job due to commercial interests, but always be eternally seeking and searching the bigger lady that takes care of our “huddled masses yearning to breathe free.” Hooray for Historic Preservationists!